Step aside cold canned lunches and Manischewitz boxes. 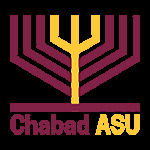 We have delicious Kosher food available at ASU in multiple locations, at all times of the day! Made from scratch daily, Chick-In serves up delicious falafel, craft chicken on a food platter or sandwich, and much more. Newly launched in time for August 16, 2018 fall semester, the Kosher Bistro will be located in the Hassayampa Academic Village Dining Hall on the Tempe campus. The Kosher meal plan at Tempe will open for lunch and dinner every day, and will include varied dishes such as grilled Jamaican jerk chicken, chipotle BBQ sliders, Buffalo chicken wraps, Potato and kale enchiladas and many more delicious items.